In the same month that Middlesbrough-based furniture institution Barker and Stonehouse has opened its first London store, in Battersea, it’s been revealed that another firm with a former Boro connection and a current Gateshead one – the discount department store Metro Outlet – is to open in the iconic former Allders store in Croydon, which has been empty for nearly a year. 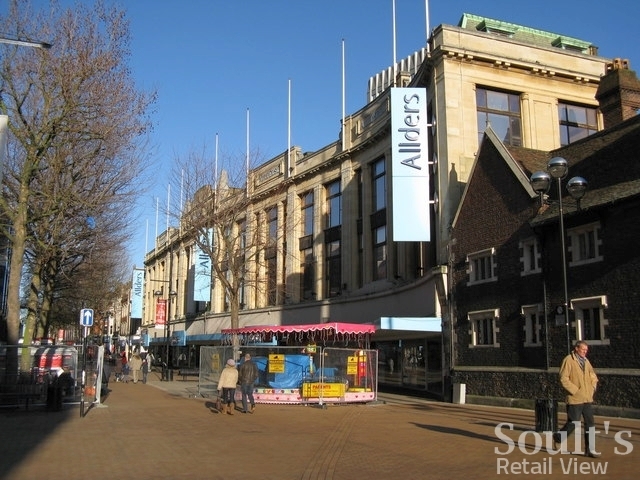 The 150-year-old Allders of Croydon closed for good in September 2012, after a sad and slow decline from its former status as one of Britain’s greatest – and largest – department stores. Founded in 1862, the growth of Allders into a 45-store-strong national empire proved unsustainable, and the firm collapsed into administration in 2005. As much of the provincial Allders estate was snapped up by BHS, Primark and Debenhams, entrepreneur Harold Tillman, who then owned Jaeger, rescued the Croydon flagship. However, despite some new initiatives and investment, the store’s overall old-fashioned feel – and uncertainty over how it might fit into competing and long-delayed redevelopment plans for central Croydon – left it vulnerable, and the business collapsed again in 2012. Now, it’s been revealed that Metro Outlet Croydon Ltd is to reopen two floors of the building as Croydon Village, “the latest outlet shopping gem”, which will “offer a whole floor of designer labels at outlet prices [and] retail an extensive range of goods including furniture, homewares, fashion, electrical goods and much more.” A large food hall is also reportedly planned. The reality is, perhaps, not quite as exciting, but is still a welcome return to active use for a large and prominent property within Croydon town centre that has now been empty for nearly a year. 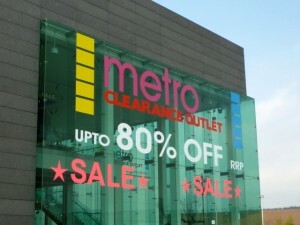 A bit of digging around confirms that the Croydon Metro Outlet is connected to the Metro Outlet that shoppers in Middlesbrough and Gateshead are already familiar with: Metro Outlet Croydon Ltd, Gateshead store operator Nut Outlet Ltd, and former Middlesbrough store owner Nut Outlet (Middlesbrough) Ltd all share a company address in Llandudno. Though the branding and description of Croydon Village suggests a more upmarket concept than the Metro Outlets to date, experience from the North East stores at least gives a flavour of what Croydon’s shoppers might expect from the new arrival. 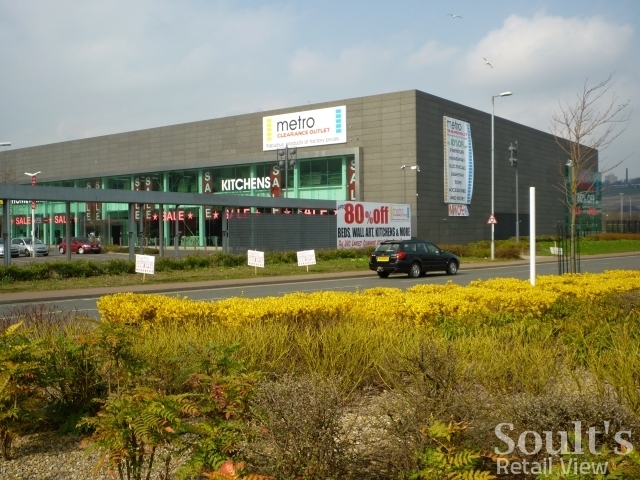 As you may recall from my blog post in February last year, the 148,000 sq ft Metro Outlet store at Metro Park West in Gateshead opened in November 2010 and specialises in furniture and homewares. There too, Metro Outlet came to the rescue of an iconic building that had lost its previous high-profile occupants, though the property’s turbulent backstory goes back closer to 150 weeks than Allders’ 150 years. Built at a cost of £15m to house the new-concept Marks & Spencer Lifestore, the store was a disaster – the wrong offer, in the wrong place, at the wrong price, under the wrong brand – and came to symbolise Marks & Spencer’s lack of focus and direction at that time. One of Sir Stuart Rose’s first jobs as M&S boss was to announce the Lifestore’s closure, less than five months after it had opened in February 2004, while the creative mastermind behind the Lifestore – respected ex-Selfridges CEO Vittorio Radice – promptly left the business. 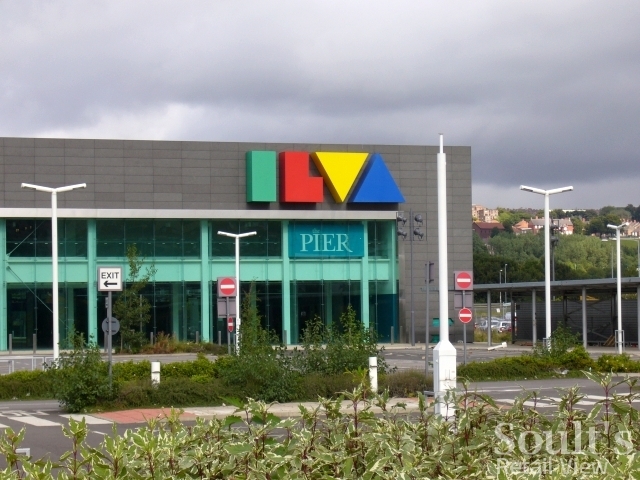 The property’s subsequent occupant – Danish furniture chain Ilva, which spent another £8.4m revamping the premises and giving it its present slate-clad appearance – performed slightly better, managing to trade for two years in the UK before collapsing into administration in June 2008 and itself closing down. 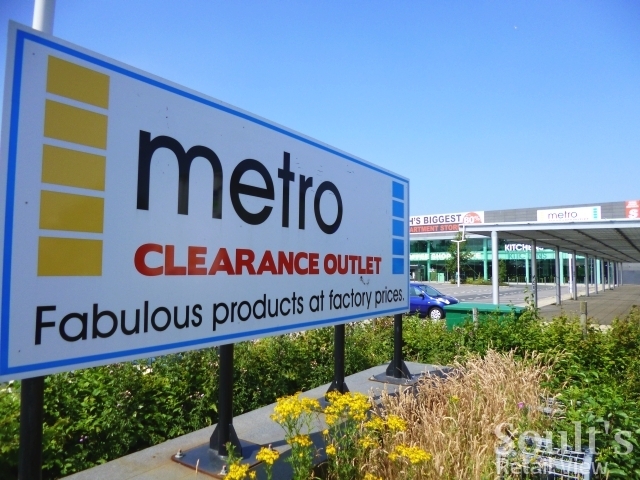 Despite its short-term lease, Metro Outlet has therefore occupied the site for longer than either of its supposedly permanent predecessors, though you could be forgiven for not quite knowing what’s going on. 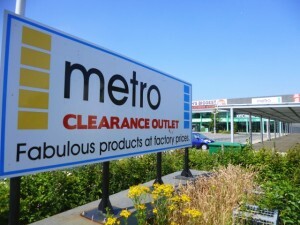 Keeping track of Metro Outlet’s status is a challenge, given its lack of web presence and ad hoc use of social media, with a Facebook Group that was last updated a year ago and a Twitter account that was most recently used in 2011. 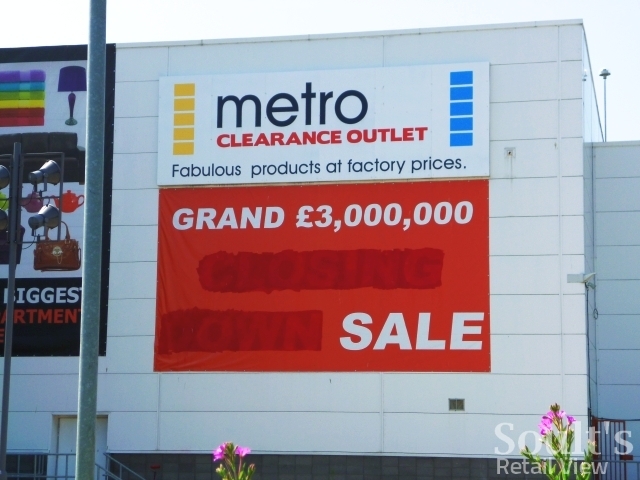 Earlier this year, Metro Outlet was meant to be vacating the building to make way for a new Tesco Extra, plans for which were approved by Gateshead Council last year, but it still seems to be trading from there for now. Indeed, I noted last weekend that ‘closing down’ wording on banners attached to the building had been scrubbed out, suggesting that it may yet be around for longer than intended. Certainly, Tesco’s much-written-about pulling back from Extra store openings, the presence of a huge and long-established Asda next door, and the real danger of cannibalising its new Gateshead town centre store just four miles away all suggest that a Tesco opening in the ex-Ilva may get quietly forgotten about. 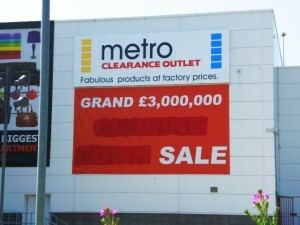 The history of Metro Outlet’s second store, at Captain Cook Square in Middlesbrough – now closed – is no less complicated. There, as I reported in a previous post, Metro Outlet took over the town’s ex-TJ Hughes premises in February 2012, with many of the ex-TJ Hughes staff re-employed. 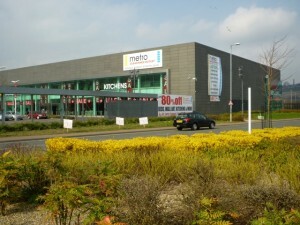 Specialising in furniture and homewares, the Middlesbrough operation sought to build on the success of the Metrocentre branch. Less than six months after its arrival, however, Soult’s Retail View readers were alerting me to the fact that the store was seemingly holding a closing-down sale, raising the question of whether another tenant – or even the under-new-ownership TJ Hughes – was already waiting in the wings. 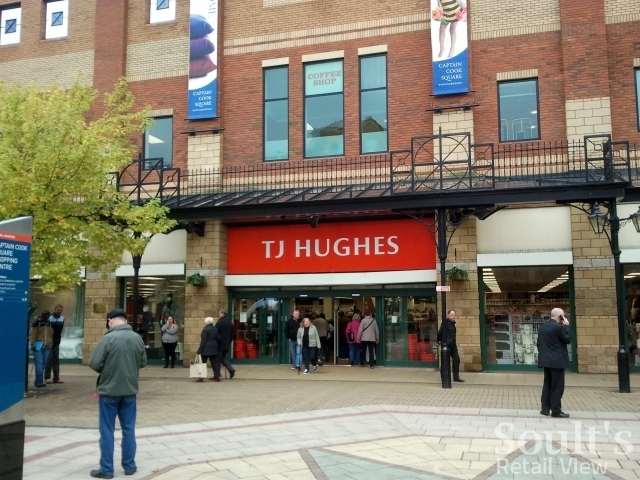 And so it proved, with an official announcement last August that “Metro Outlet is closing to make way for the welcome return of TJ Hughes” – the result, one assumes, of the landlord invoking a break clause. 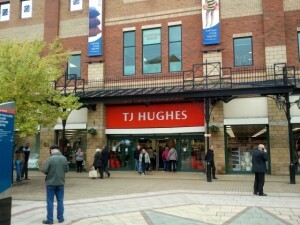 Following TJ Hughes’ own collapse into administration in 2011, and the subsequent rescue of six branches by Lewis’s Home Retail, Middlesbrough had the distinction of being the first of the chain’s 51 closed-down stores to be reopened, with Birkenhead following more recently. 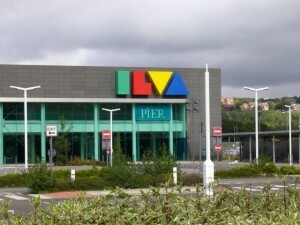 The Middlesbrough ex-Metro Outlet is a neat link back to Allders again, given that new TJ Hughes owner Lewis’s Home Retail took its name from the iconic but now-closed Liverpool department store, having acquired the Lewis’s brand following the collapse of its then-owner, Vergo Retail, in 2010. 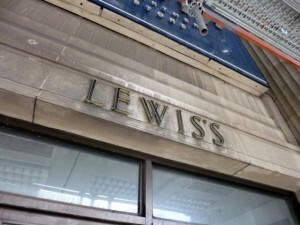 Like Allders of Croydon, Lewis’s of Liverpool was both the originator and the last remnant of a business that had started as one store, grown into a UK-wide chain, and then shrunk back to the original flagship again following a 1991 administration, a change of ownership, and a succession of subsequent disposals. Ironically, Allders’ growth in the 1990s was partially off the back of acquiring some ex-Lewis’s stores, like the one in Leeds. Such is the complex web of UK department store history. As for Croydon Village, time will tell what its longevity, impact and legacy is. For now, the firm has reportedly agreed a five-year lease, with landlord breaks, with the property’s owner, Minerva, and is upbeat about being “here to stay”. However, it’s still not entirely clear what impact Hammerson and Westfield’s joint venture to redevelop Croydon’s Whitgift and Centrale shopping centres – agreed earlier this year – will have on the adjacent Allders site. 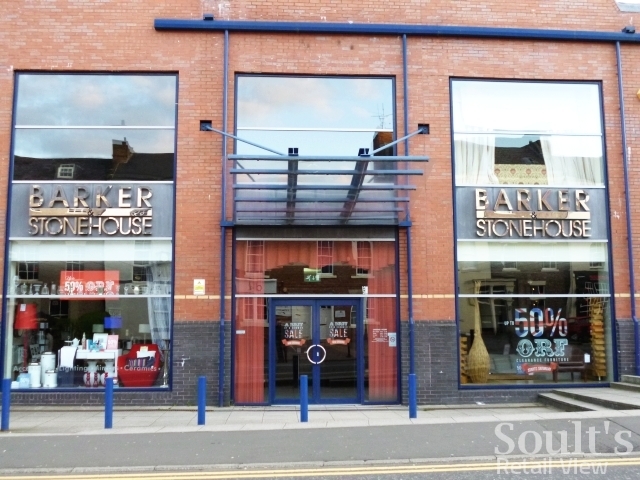 At least for the short to medium term, though, any initiative that creates jobs, brings an empty property back into use, and potentially develops an interesting new take on the department store is to be warmly welcomed and supported – especially if there’s a North East interest! 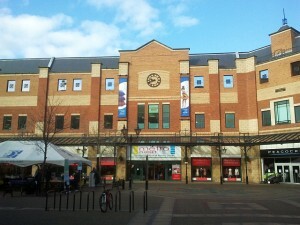 My retail consultancy business, CannyInsights.com, provides bespoke place- and sector-specific market intelligence, and works with retailers nationwide to improve their stores, customer communications and market knowledge. For more information, visit www.cannyinsights.com, drop me an email, or give me a call on (0191) 461 0361. Thank you to Dr Neil Clifton for the use of the photograph of Allders. The photographs is © copyright Neil Clifton and licensed for re-use under the Creative Commons Licence. Previous story Opened on 8 July 1933, what’s become of the ex-Woolworths in Morden? Croydon Fashion Village entered into administration on 15th April 2014. Store continues to trade. The store looks like a market and has since closed two floors.